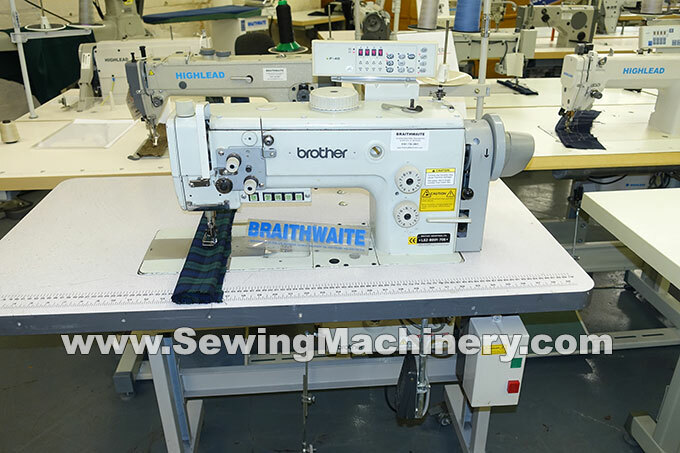 Brother LS2 B891 705 walking foot industrial sewing machine with automatic thread trimmer system & operator aids. 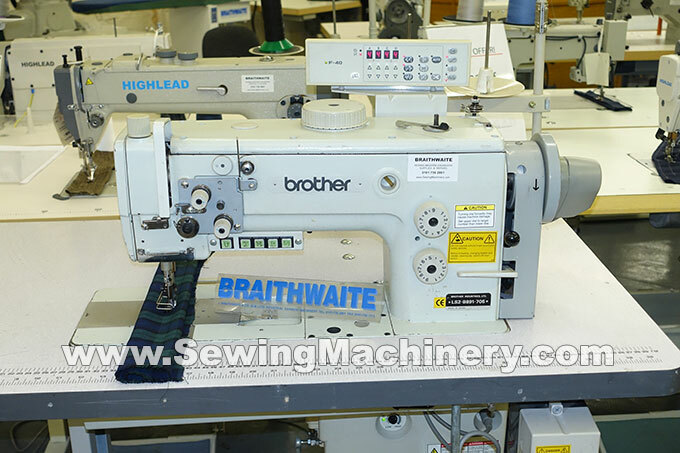 High specification & high speed model up-to 3500 rpm sewing speeds. Operator aids including: automatic thread trimmer, pneumatic auto reverse, pneumatic auto foot lifter, stitch count program, operator panel, needle position motor and push button quick change under arm controls. +Top mounted alternating foot dial adjustments with matched speed and dual stitch length dials. Made in Japan - top of range model. Assembled with matching unit stand & table top. Standard 13amp plug for home or factory use. Air supply required. Serviced and tested with return to base warranty.